Often, children show symptoms of autism within the first year, while some others start to show a period of regression between 18 to 24 months of age, eventually developing the symptoms (Mayo Clinic). Unfortunately, diagnosing autism can be difficult, since there is no medical test to diagnose the disorders. Current diagnosis relies on a range of observations of behaviors in young children. 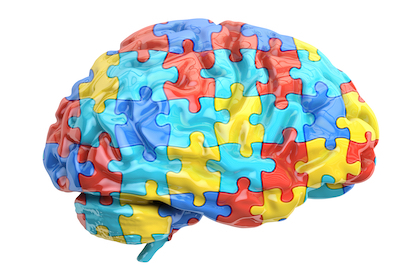 While both genetic and environmental factors have been found to be involved in autism pathogenesis, changes in over 1,000 genes have been reported to be associated with ASD (NIH). For example, genome-wide association studies (GWAS) have revealed copy number variations (CNVs) and single nucleotide polymorphisms (SNPs) associated with ASD. Many of these genes are involved in the development of the brain. Owing to neurobiologic changes underlying ASD development, predominantly involve central nervous system dysfunction, stem cell-based therapies have emerged as potential treatment for autism. A search on clinicaltrials.gov database returned more than ten cell therapy clinical trials registered for autism, primarily involving mesenchymal stem cells (MSCs) derived from cord blood and bone marrow. The rationale behind treating autism with MSCs is obvious. ASD shows immune system abnormalities and strong proinflammatory productions. MSCs secrete various anti-inflammatory paracrine factors, possess high in vitro proliferation capacity and exhibit low immunogenicity properties. Decreasing inflammation may alleviate symptoms of autism in these patients. Outcomes from early phases of some clinical trials are promising, whereby significant improvements in behavior have been reported. Other types of stem cells, such as neural stem cells, and adipose-derived stem cells have also been proposed as potential cell source of treatment, due to their neuroprotective and immunosuppressive effects. More recently, several studies have pointed exosomes secreted from MSCs as main mediators of the therapeutics effect of MSCs, with marked beneficial effects of exosomes described in animal models. Allogeneic MSCs derived from human induced pluripotent stem cells (iPSCs), already been used in a Phase I trial to treat graft-versus-host disease (GVHD) could potentially offer another renewable cell source for autism treatment. 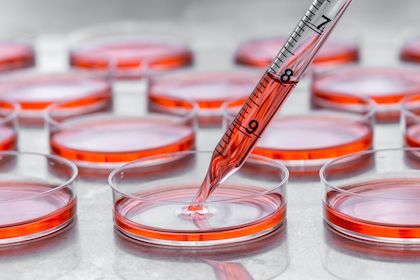 With the same repertoire of genetic variants as the donor proband, the reprogramming of somatic cells into iPSCs offers a valuable tool for dissecting molecular genetics underlying ASD development and for identifying potential treatments. To achieve this, autism-specific iPSC-derived neural cells could provide a platform for modeling inflammatory responses, such as susceptibility to glutamate-induced excitotoxicity. In disease modeling, one of the most critical steps is to generate transgene-free and high quality patient-specific iPSCs without introduction of any genomic alterations, including CNVs. As such, RNA reprogramming has been found to introduce the lowest aneuploidy rates in iPSCs, rendering it as the most reliable method to study disease-in-a dish. 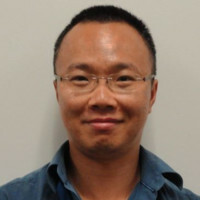 In addition, gene editing techniques such as CRIPSR have also enabled study of common functional phenotypes from isogenic iPSCs and neurons, offering the possibility for drug screening in the era of precision medicine. REPROCELL can support a wide range of preclinical and commercial iPSC and disease modeling applications.